Snigdha Nag, a Senior Lecturer in The City Law School outlines practical steps for employers and employees. The EU referendum on 23 June 2016 resulted in a narrow majority voting in favour of leaving the European Union. The process of how Brexit will be achieved is currently uncertain, and it may be months or even years before our relationship (in terms of trade, movement of goods, workers and visa free travel) with the member states or the union itself is resolved. However, an immediate and unsavoury result of the referendum result has been dubbed “Post Referendum racism”. The culmination of the hundreds of incidents reported to police forces across the country was the alleged race hate murder of 40-year-old Polish factory worker Arek Jozwik in Harlow, Essex on 27 August 2016. Employers may think that this does not concern them, but discussions at work about the referendum result, Brexit and immigration could result in workplace tension, an unpleasant atmosphere, feelings of alienation, low morale and even liability in the employment tribunal for the acts and statements of employees or managers. Employers must bear in mind that statements made by staff members to other staff which management may not even be aware of can result in possible claims. Any comments about race, colour, nationality, ethnicity or national origins should be discouraged. This is because the Equality Act 2010 prevents direct discrimination “because of” race. (The other protected characteristics under the Act are not relevant here). Even if a person has changed nationality, is perceived (wrongly) to have a particular ethnicity or has a relative of a different racial background, comments in the workplace can fall foul of discrimination law. An employer cannot argue comments made about the Italian origins of person originally from Italy who has since taken on British citizenship should not attract liability as the employee is now British. An employee subject to taunts or jokes about the ethnicity, colour or national origin of his/her partner can make a potentially successful claim (under the principle of associative discrimination). Cases which have led to employers losing cases in the Tribunal are instructive, even if they occurred long before the referendum or are non-binding first instance decisions. An Irish employee whose line manager likened her to the television programme My Big Fat Gypsy Wedding won her case in the case of Harper v Housing 21 in 2012. An Eastern European employee was nicknamed “Borat” in the case of Ruda v Tei Ltd in 2011. His employers failed in their argument that all employees had a nickname at work and that therefore the treatment had nothing to do with race. The nickname, being linked to his ethnic origins was clearly because of his race. In 2010 in Basile v Royal College of General Practitioners, the nickname “Inspector Clouseau” was given to a French employee (a porter), similarly leading to liability at the employment tribunal. What may, in the past, have been considered humour or workplace “banter” could be found to be “less favourable treatment” and harassment. Such findings in an employment tribunal would be public, embarrassing and possibly expensive. Harassment is any behaviour which is unwanted by the recipient, here related to race which violates the complainant employee’s dignity or creates an intimidating, hostile, degrading, humiliating or offensive environment. The behaviour need not be intentional, if it has that effect and is unintentional, can still result in liability. Have an equal opportunities policy, and if one has been in place for some time, review it. The ACAS website is a useful source of advice on best industrial relations practice. Ensure that the equal opportunities policy is communicated to all staff, and if possible, invest in training on equality and dignity in the workplace. Act on the equal opportunities policy. A policy on paper which is never put into practice is next to worthless. Consider whether any disciplinary code or disciplinary procedure includes acts of discrimination as unacceptable conduct which can attract a disciplinary sanction, including potentially, dismissal for gross misconduct. Consider introducing a policy on acceptable and courteous staff communications both in and out of the workplace, including email, SMS text messaging and social media. Employees must have a safe means of raising queries, issues and complaints. Some may be informal requests for a manager to “have a word” or “keep an eye out”. Others may be formal complaints or grievances. 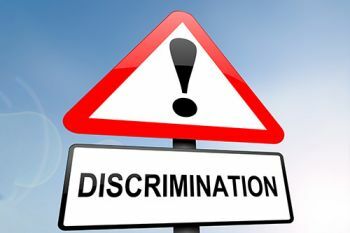 Appropriate means for both formal and informal issues to be raised should exist for employees.Managers at different levels (in other words, line managers and above) should be trained in discrimination awareness and be trained in the means of dealing with informal and formal discrimination issues raised by employees. Where issues are raised, managers should act. Guidance to staff as to acceptable behaviour, reminders of workplace policy, investigation of incidents, protection of victims or complainants, disciplining perpetrators are all options to be considered. Fair procedures, proportionate action and consistency of treatment of employees are extremely important. I don’t have a crystal ball to tell you how Brexit will pan out. But employers, you must not wait until our government’s plan for exiting the EU crystallises. Make sure you take my simple steps to avoid hot water in the employment tribunal immediately! Industrial relations refers to all the relationships between the different stakeholders in an organization, such as employees, management and trade unions.